Looking for a job in Volusia County Florida? The following is a directory of Volusia County employment opportunity websites that encompass cities to the west of Volusia Florida such as the City of Deltona, and covering the east coast region stretching from the City of Ormond through Daytona Beach and reaching south to Edgewater. Deltona, the most populated city in Volusia, is an inland city that is approximately 25 miles northeast of Orlando. Volusia is a great place to find work in healthcare related fields such as nursing RN positions, Law Enforcement (Police or Sheriff jobs), Teaching jobs in public schools or colleges, and a lot more. Volusia County Florida had job openings available. A survey of open positions on various dates had included positions such as Employment Manager, Staff Assistant, Beach Safety Jobs, Equipment Operator, Road & Bridge Maintenance Crew Jobs, Information Services Analyst (Microcomputer), Librarian, Library Assistant, Recruiter: Human Resources Officer, Staff Assistant Building & Zoning, Emergency Medical Technician (EMT), Lifeguard, Summer Recreation Camp Counselor, Paramedic, Ambulance Supply Technician, Tradesworker, Utility Operator, Water Plant/Lift Station Mechanic, Treatment Plant Operator, Volusia County Corrections Officer, Volusia County Corrections Officer Trainee, Emergency Medical Technician (EMT) Intermittent, Volusia County Paramedic Intermittent, Senior Lifeguard, and 911 Public Safety Telecommunicator. Monitor the county's employment portal frequently for current listings. Now Hiring! The City of Port Orange is accepting applications for Seasonal PT Summer Camp Positions - Apply Today! Bunnell Florida periodically posts updates. Positions had been found for Police Officer on previous review dates. 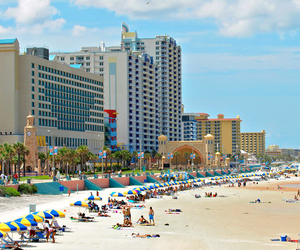 Daytona Beach Florida is often hiring. Vacant positions found on various review dates have included Plans Examiner, Utility Service Worker, Customer Service Supervisor, Utilities Maintenance Worker, Engineer, Sponsorship Police Officer, Wastewater Plant Superintendent, Certified Police Officer, Police Special Events Officer, Licensed Wastewater Plant Operator, Police Reserve Officer, and Prisoner Transport Officer. Check for updates. Daytona Beach Shores Florida posts opportunities when vacancies exist. During review there had been an open position for a Public Safety Officer. Check DeBary's employment portal for current listings. Past jobs found have included Office Assistant and Parks Maintenance Worker. DeLand Florida periodically hires. Check for updates. During review the City of Deltona had positions available for Stormwater Tech, Wastewater Operator, and Water Operator. Check for updates. Edgewater had announcements for utilities related positions and public safety during recent surveys. Edgewater is a good resource to monitor. Holly Hill Florida was hiring and had job openings available for Firefighter, Police Officer, Equipment Operator, and Water Distribution System Operator on this review date. Visit their applications page for new listings. New Smyrna Beach Florida had open positions during various review periods. Opportunities that were identified had included Utility Worker, and Golf Ranger Volunteer. Orange City Florida periodically hires. Check for new listings. The Ormond Beach employment portal tends to have a low-volume yet consistent number of opportunities at any given time. Sureveys have shown openings such as Employe Relations Assistant, Firefighter, Special Events Tech at The Casements, Permit Technician, Account Clerk II, System Maintenance Supervisor, Plans Examiner, Center Leader, Building Inspector, and Chief Building Inspector. Ponce Inlet Florida was previously hiring for the position of Code Enforcement Officer. Check for updates. Port Orange was hiring for Summer Camp Positions, Utility System Operator, and Water Treatment Plant Operator on this review date. South Daytona Florida provides Police Officer application packets and salary information. Listed openings in Accounting, Human resources, Senior Competition Counsel and Sales Marketing. If you are interested in working for NASCAR they have an e-mail notification feature. 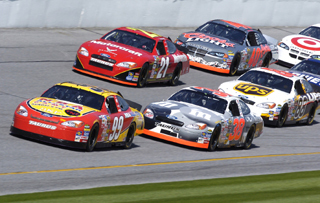 The link below provides current available jobs at the Daytona International Speedway. 3. Also check security jobs with TSA. These can be found on the USAJOBS Website. You are likely to find TSO Transportation Security Officer openings in larger cities. At time of review there were no postings for Volusia. Votran is Volusia County's public transit system. Call 386.756.7496 for Votran job information and press 5 for the Votran Career Hotline. Job openings periodically become available for positions such as Fixed Route Operator, Paratransit Operator, Bus Driver and Mechanic. Daytona International Speedway, Volusia Florida. This search tool lists all jobs for the facilities of Halifax Health Medical Center, Halifax Health Port Orange, and Hospice Flagler Volusia. During review Job openings ranged from Licensed Practical Nurse - LPN and Certified Nursing Assistant (CNA) to Case Manager and Emergency Technician. About: Halifax Health has over 940 licensed beds, approximately 500 physicians. Halifax Health offers psychiatric services, four cancer treatment centers, the area's largest hospice organization, a health maintenance organization, and a preferred provider organization. This is a great job listing resource to monitor frequently. AdventHealth Fish Memorial was hiring for a number of positions including RN ICU, Environmental Services Assistant, Pharmacy Tech, Physical Therapy Assistant, Medical Assistant, Pharmacist, Occupational Therapist, Medical Technologist, Physical Therapy Assistant PTA, Staff Physician, and more. Check their site frequently for updates. Covidien - Medtronic Healthcare had several job opportunities in DeLand to include Sr. Safety Specialist, R&D Engineer and more. Covidien is a company with over 40,000 employees in more than 60 countries. AdventHealth New Smyrna Beach currently employs nearly 800 professionals to work in a variety of positions such as nursing, laboratory, records, accounting, pharmacy, and administration. Jobs available on this review date included Registered Nurse (RN) ED, Registered Nurse (RN) PACU, Echo Tech, Physical Therapist (Acute), Medical Technologist, Med Lab Technician MLT, Environmental Aide, and Nursing Supervisor. Worklooker has a directory of employers that often hire nurses and home health related positions in Volusia. On the Volusia County Public Schools page select a category and "list all" so you don't miss any announcements. There were open positions available for School Custodian, Dining Room Aide, 1st Grade Teacher, Gifted Reading Teacher, Honors Algebra Teacher, Math Teacher, Kindergarten Teacher, School Bus Operator, School Bus Driver, Paraprofessional positions, Interpreter for the Deaf, and more. Check their site frequently for updates. Daytona State College offers more than 100 associate of science degrees and certificates, as well as the Bachelor of Applied Science degree in Supervision and Management and seven Bachelor of Science in Education degrees. There tends to be an ongoing array of faculty, adjunct faculty, professional, and support staff positions available. Stetson University is located in DeLand, FL. and during review it had several open positions. Openings included: Public Safety Officer, Admissions Counselor, Dean of Admissions, Grounds Maintenance Worker and more. Stetson has many degree programs to include graduate programs in education, counseling, business, law, and English. Embry-Riddle Aeronautical University had 24 job advertisements during this review. Embry jobs ranged from Academic Advisor, Assistant Professor and HVAC Specialist and New Student Advisor, English Instructor and a lot more. Bethune-Cookman University had 15 jobs listed. Check this site frequently for updates. Bethune-Cookman University offers fifty percent (50%) tuition remission to full-time employees who have completed at least one year of service at Bethune-Cookman University. Retirement Plan offered is Met Life, B-CU will match a maximum of 7.5% of annual salary. Volusia County Sheriff's Office has approximately 446 sworn positions (Deputy Sheriff positions) and 438 civilian support staff. The most common assignments are within patrol. However, through advancement, there are opportunities in specialized units like K-9, SWAT, narcotics, auto theft, intelligence, investigations, aviation, marine police, dive team and more. At the time of review Volusia was also hiring Corrections positions, Deputy II and Helicopter Pilot. A Park Ranger job opening was recently listed on dep.state.fl.us for Volusia County - Ormond Beach. Check this site frequently for updates or use the MyFlorida site. You must possess a current law enforcement certification in the State of Florida and meet the minimum requirements to be hired as a police officer at the Port Orange Police Department. Daytona Beach Shores previously had a job opening for Public Safety Officers with a Paramedic certification. Monitor their site for new postings. This is a great jobs resource to monitor frequently. Make sure you are dealing with reputable companies before applying. During review the following were some of the jobs listed: Account Executive, Occupational Therapist, system administrator, Editor/proofreader, Nurse RN LPN, Admin Assistant/Bookkeeping and more. Set criteria to list positions for Volusia. Make sure you expand all categories so that you can see all positions at-a-glance. Some positions are listed as "any location in Florida". This does not guarantee an opening in Volusia. This site has a job openings e-mail notification feature that's useful.